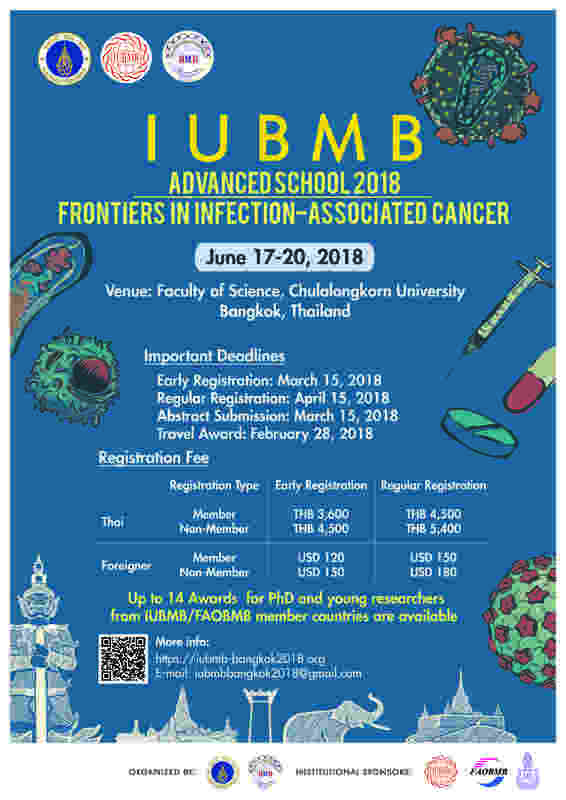 An IUBMB Advanced School on Frontiers in Infection-associated Cancer will be held in Bangkok, Thailand, 17-20 June 2018. More details can be found in the poster. Click here to view. Young scientists from the FAOBMB region are invited to apply for fellowships to participate in this Advanced School. Deadline for receipt of fellowship applications: 28 February 2018, Bangkok time (GMT +7).